BetAmerica began as a horse racing betting site in 2008 and has since moved into sports betting as the laws and regulations change across the USA. Owned by Churchill Downs Inc., home of the Kentucky Derby, BetAmerica has a proud history of providing safe, secure, and fun betting to American patrons. Top-notch user experience. BetAmerica’s platform is sleek and simple to use, making it easy for bettors to get their wagers in quickly. BetAmerica also gives bettors what they want with plenty of live markets and the early CashOut option. Thousands of markets. BetAmerica offers all the major North American sports outside of the NBA plus many more such as motor racing, cricket, and rugby. It also features numerous alternatives lines, prop bets, and future bets for most games and sports. BetAmerica is fully licensed and regulated in the US. 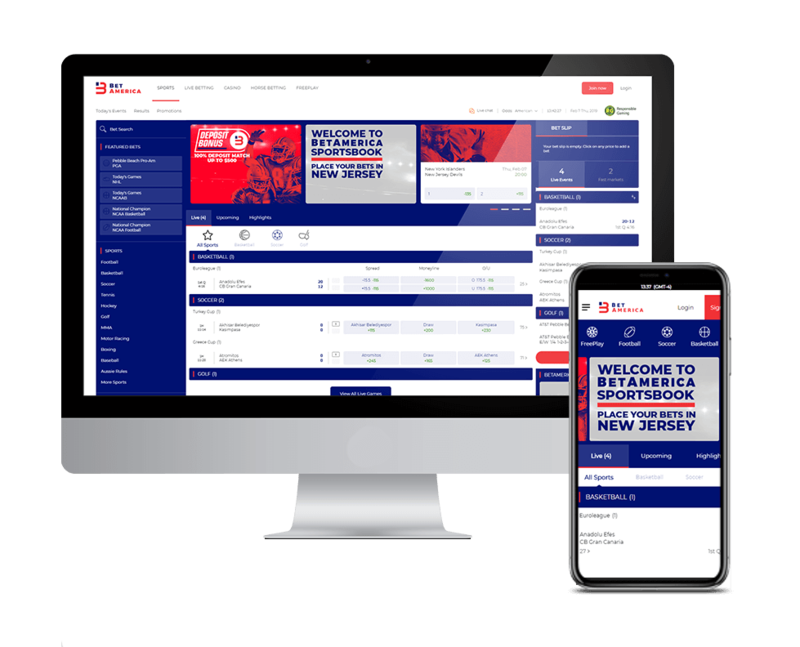 BetAmerica.com is an advance deposit wagering service of Churchill Downs Technology Initiatives Company, a Delaware corporation, which holds a Multi-Jurisdictional Simulcasting and Interactive Wagering Totalizator Hub license from the Oregon Racing Commission. BetAmerica offers top-notch security through its “Strong Authentication” feature, where users are emailed a code that must be entered to complete the login process. Withdrawals are instant from the account and BetAmerica does not charge any fees on withdrawals.